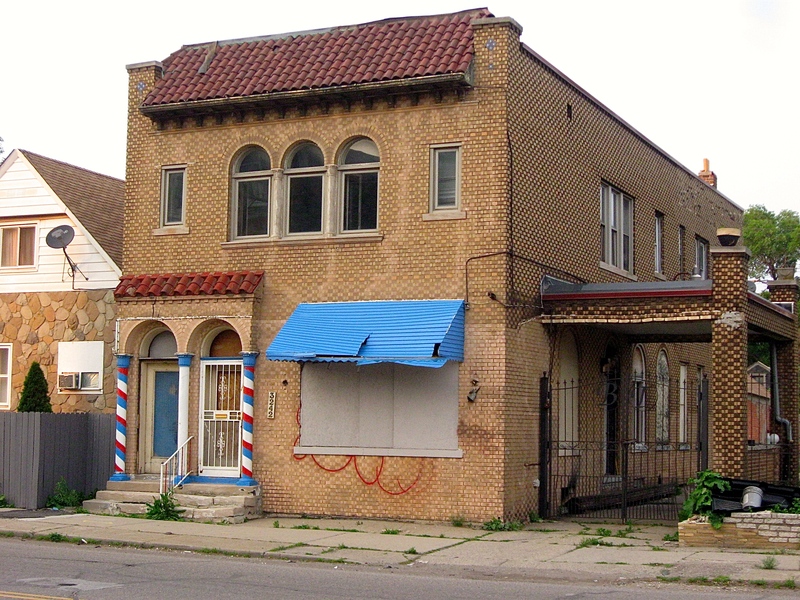 I like riding my bicycle along Junction Street in Southwest Detroit, especially the one-mile stretch between Michigan Avenue and Vernor Highway. 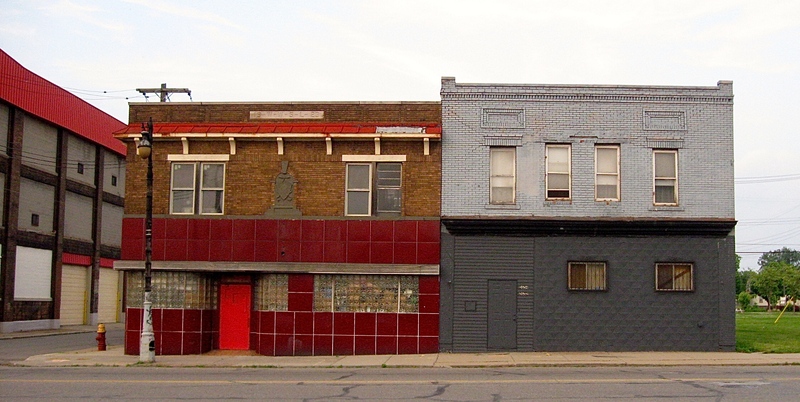 This little section of the Detroit street is somewhat of a microcosm of what I’ve seen in many neighborhoods while riding across the city over the past few years. Junction Street is packed with a variety of vintage buildings that include large, older historic churches with steeples that reach high into the blue sky. There are automotive related industries still kicking out car parts. Overhead railroad tracks cross over the street and graffiti covered trains roll noisily along them. Lining the street are a few restaurants that cater to the Mexican population that live in that part of the city and non-residents seeking authentic ethnic fare. 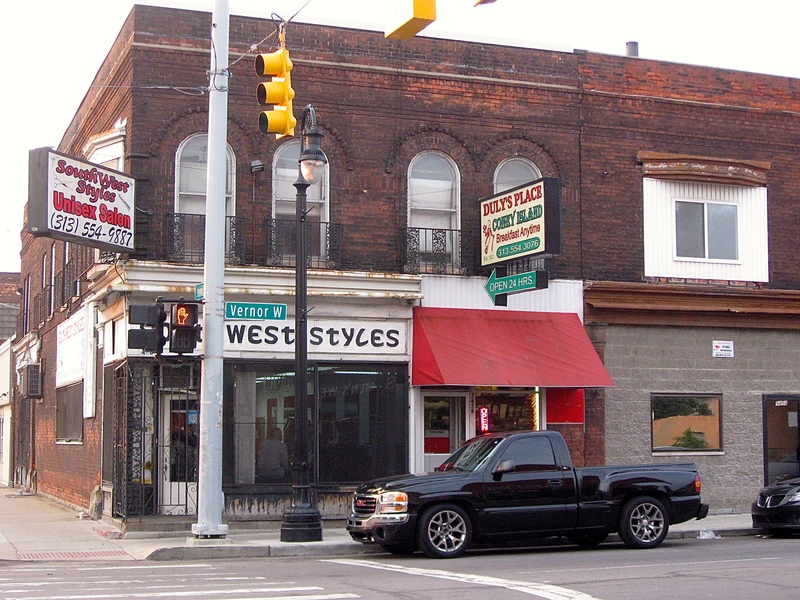 Most of the commercial buildings and homes on Junction appear to be built in the early 1900’s through the 1930s. 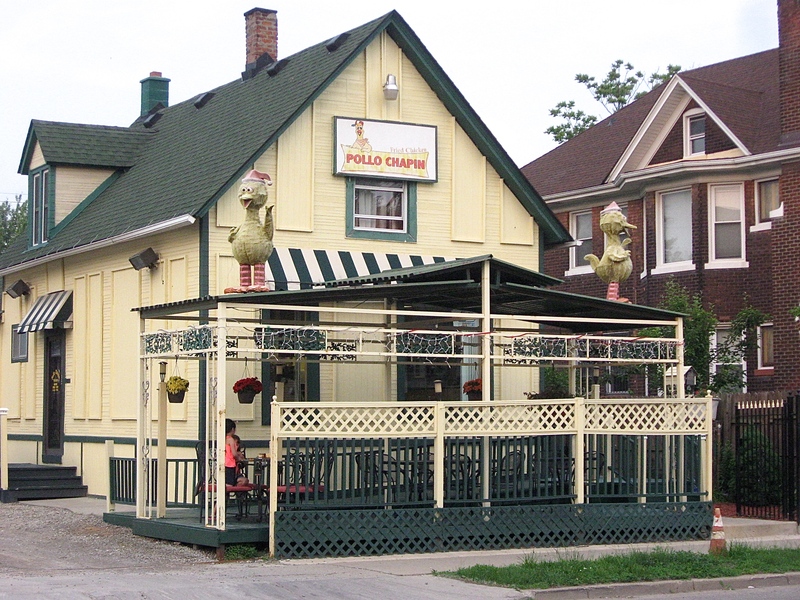 They look to be well cared for, and in many cases still have small, viable businesses. The older homes found there are packed together with nothing more than a walkway between them, and are mostly well maintained. 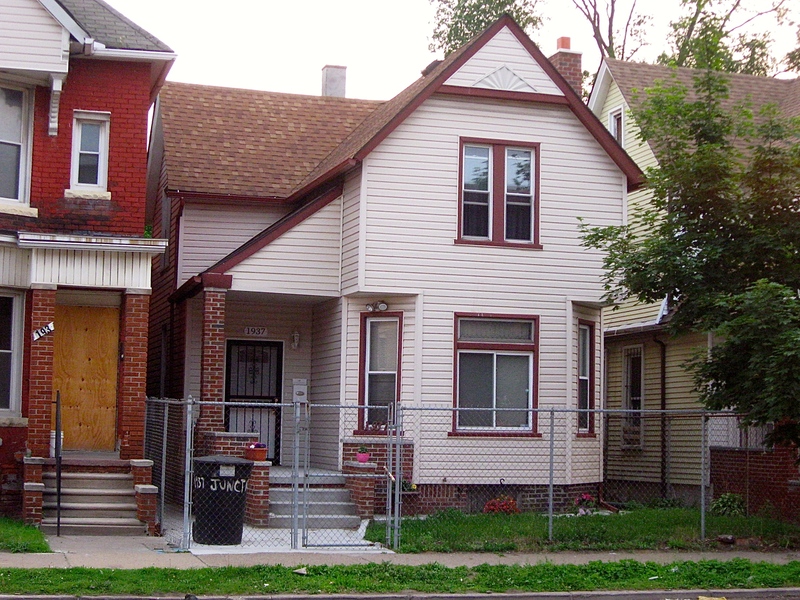 It’s not unusual to see smiling, happy kids out playing and running around in the small fenced in front yards of the old homes. As I mentioned, Junction Street runs through a mature neighborhood and has plenty of older buildings representing a variety of architectural styles. 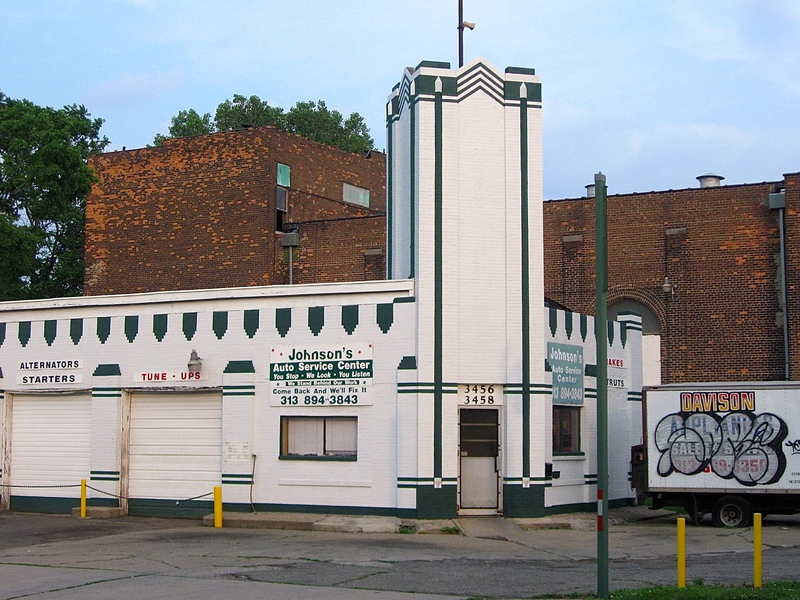 There is a former service station in the art deco period that is still in use as a repair center. On a corner sits an intriguing three-story Victorian era building with unusual roof lines that houses a florist on the first floor. 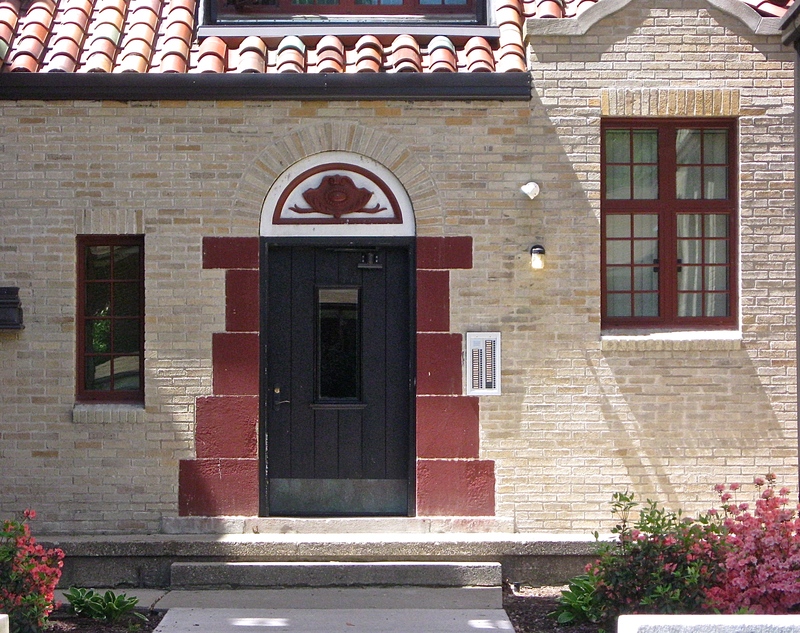 Another fascinating building, probably built in the 1920s, features extraordinary brick and tile work. There are two commercial buildings constructed with no gap between that caught my eye. 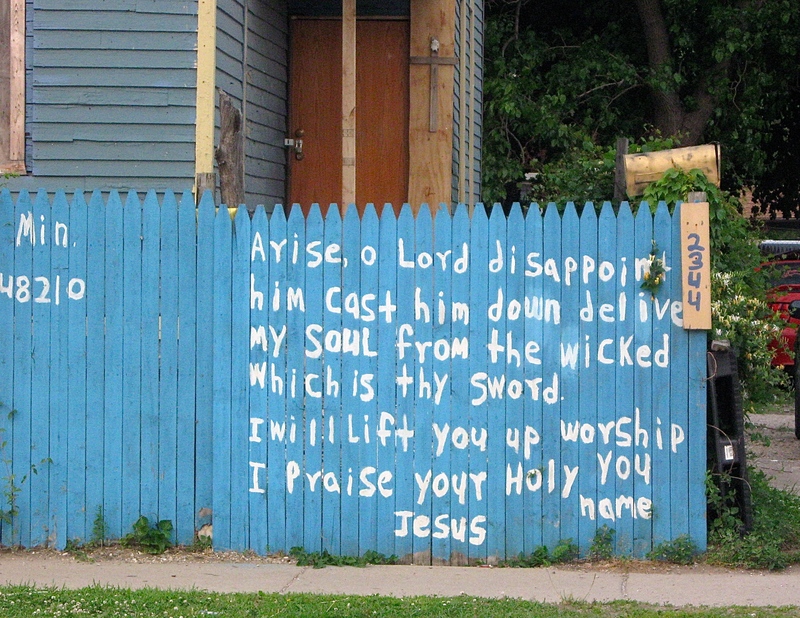 They may have been neighborhood bars at one time. They now look secure, but not in use. One features red porcelain panels right out of the 1930s, and the other is now painted a couple of shades of gray. 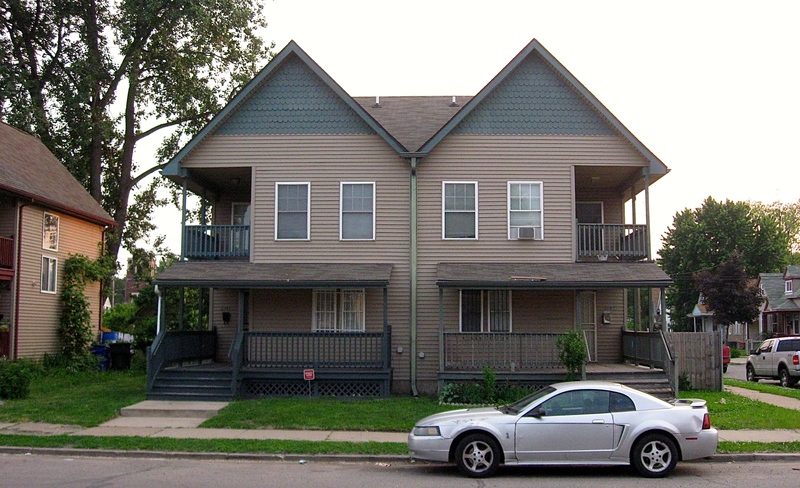 Done right, both could make interesting, residential lofts spaces. 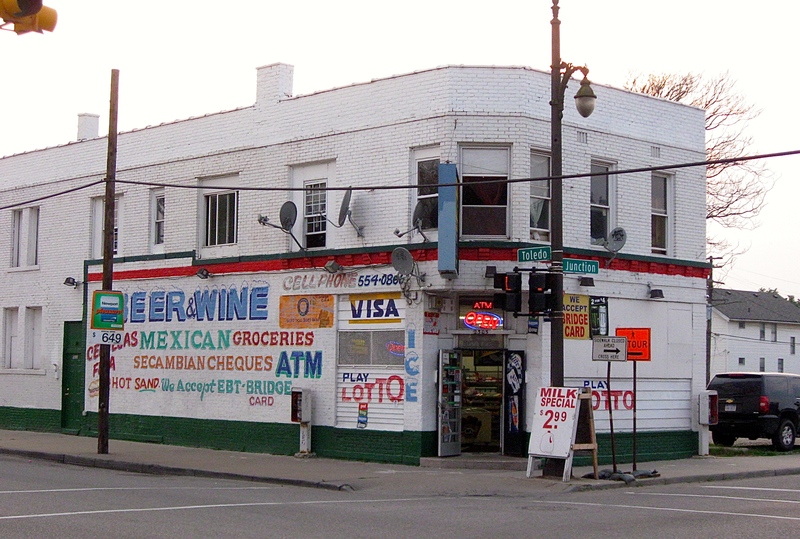 Like many of the city’s commercial streets that I’ve ridden, that one mile stretch of Junction features the usual mix of liquor stores, hair salons, barber shops, and other small business supported by the surrounding community. Like other parts of the city, it’s refreshing to see so many viable businesses and well-maintained homes. 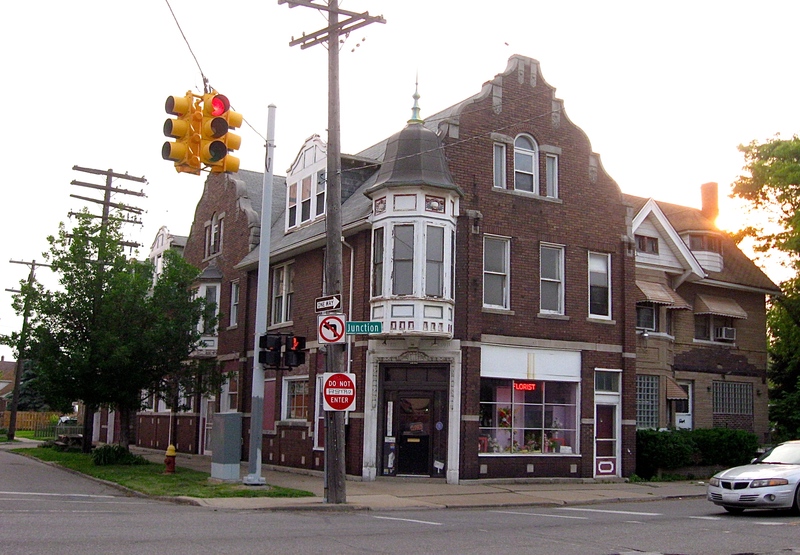 Detroit is fortunate to have a broad representation of some of the best architectural buildings that were constructed in the early to mid 1900’s. The Guardian Building is considered by many to be one of the finest art deco high-rise buildings that can be found anywhere. There’s the Penobscot building; another art deco gem and the glorious Fox Theater, built in the golden age of theaters with its fabulous far east motifs , There’s the Rococoish style Opera House and many others, including the majestic Fisher building in the city’s new center area. 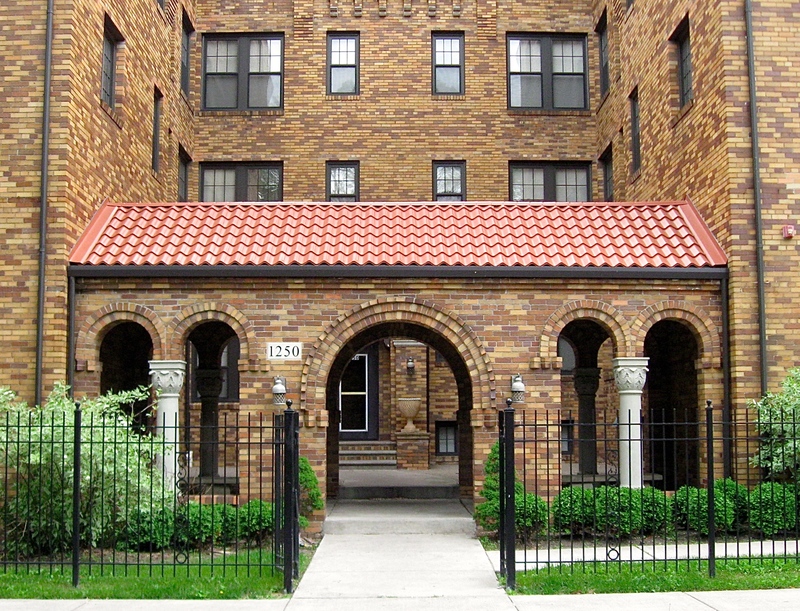 Beyond the immediate downtown and new center areas are a tremendous amount of ornate apartment buildings featuring exotic, breathtaking facades incorporating beautiful brick and tile work. 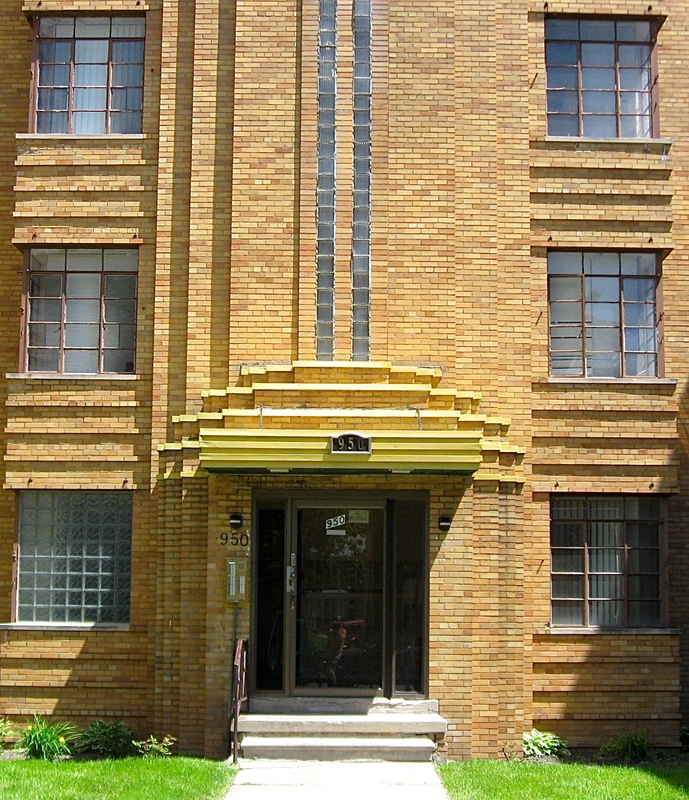 There are plenty of art deco styles and mid-century modern apartment buildings. Abundant arts and crafts designed buildings and a blend of southern Mediterranean, Moroccan, Rococo and other decorative styles can easily be found. 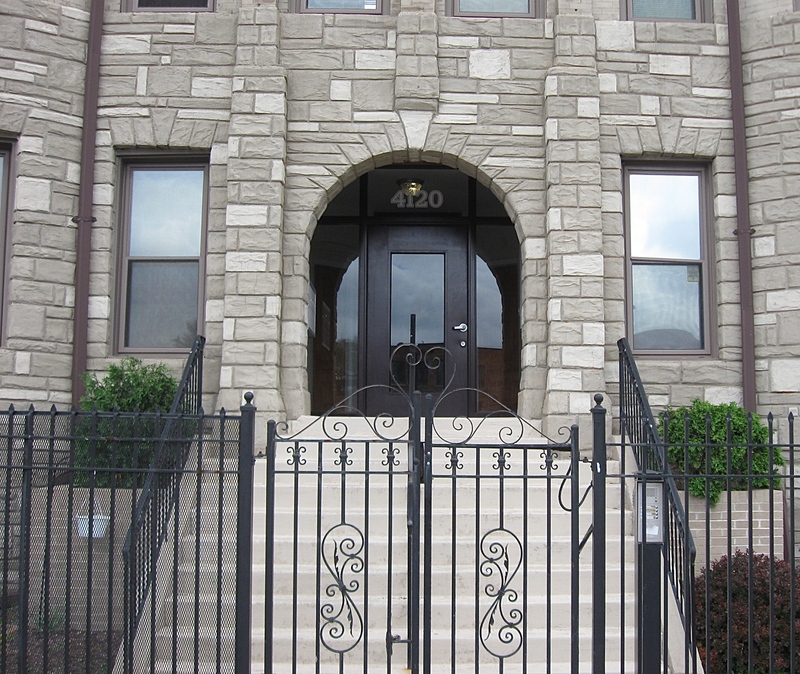 To me, one of the most fascinating features of the old apartment buildings, are the decorative entryways. The inviting doorways are spectacular in their fine detail and eye-catching brick work that, in many cases, are quite dazzling in appearance. Complementary windows placed on both sides of the entryways, trimmed to match the door openings, go with some of the entry ways I’ve seen on my bike rides. 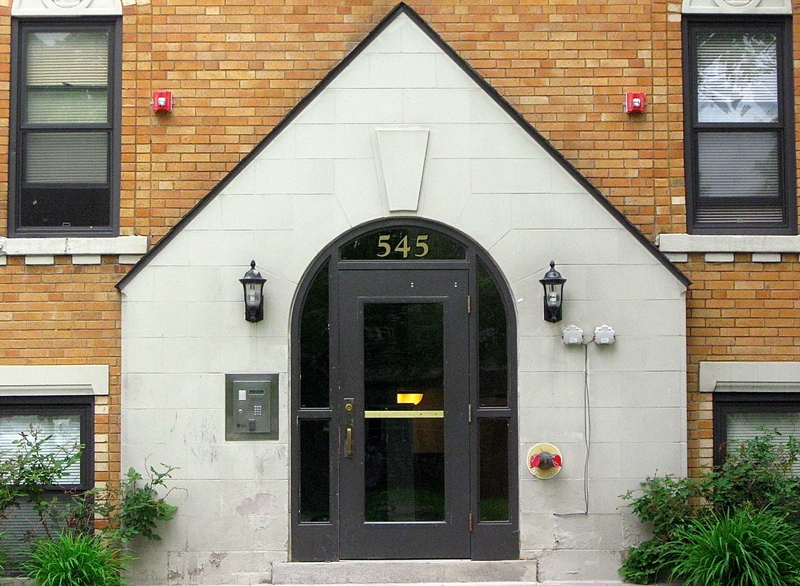 Other buildings feature vintage lighting fixtures placed above or beside the appealing doorways. Most appear to be hand crafted to match the overall architectural theme of the building. 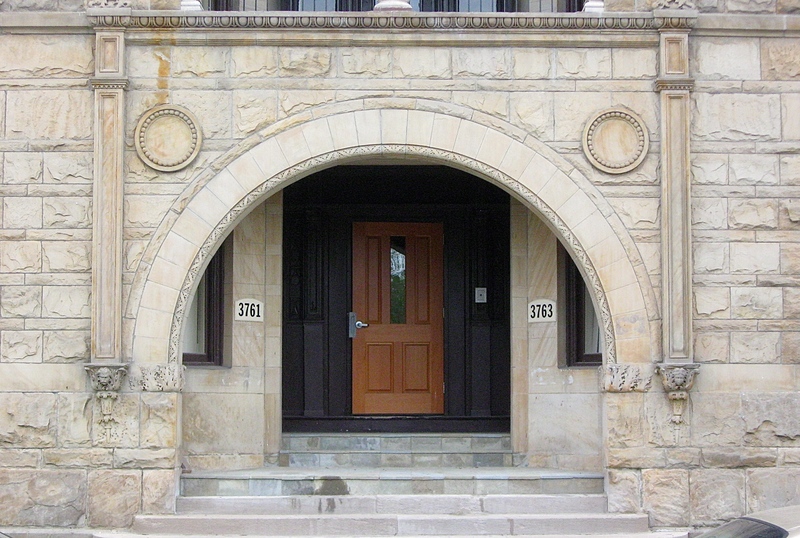 I’ve spotted arched entryways made of bricks that incorporate colorful Pewabic tile. 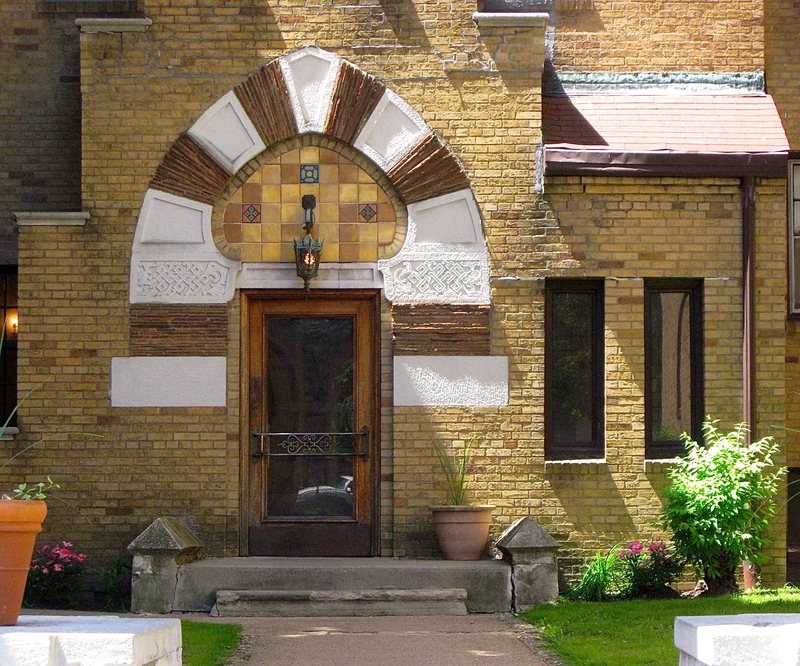 Ornate textured cement blocks, sandstone, granite and other decorative tile and slate are incorporated into many of the classic, old world apartment buildings as well. In some cases, Romanesque pillars are also featured, as are decorative insets, hawkish looking ethnic family shields and building names carved into marble or granite strategically placed above the entryways. 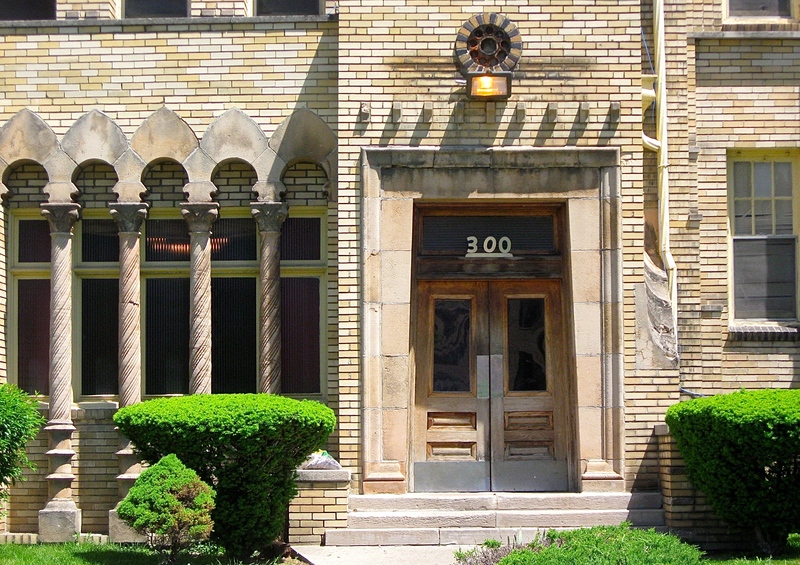 Many of the classic old apartment buildings, with their fine entryways, can be seen across the city. Large concentrations of them are in the historic Palmer Park area near Woodward Avenue and 7-mile Road. 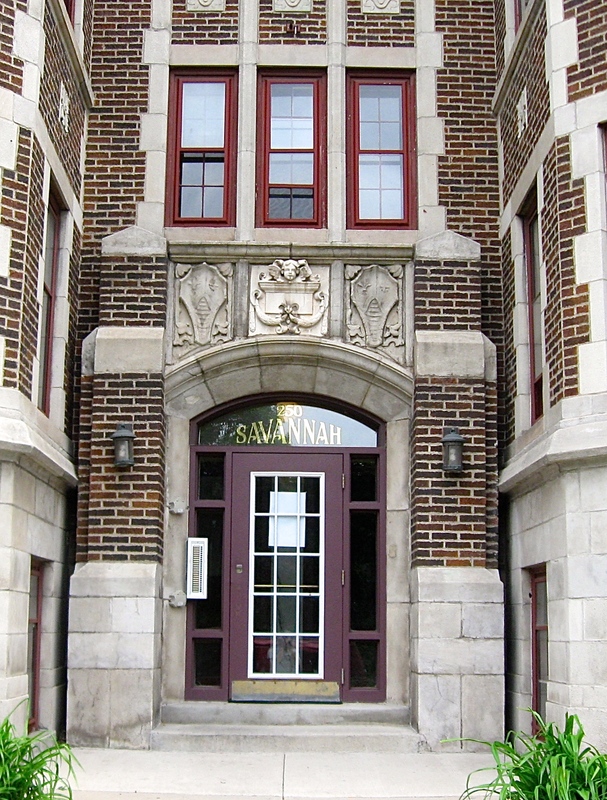 Many of the multi-story buildings in that neighborhood were built in the late 1900’s through the 1930’s and offer some of the most ornate entryways of any apartment buildings found in the city. 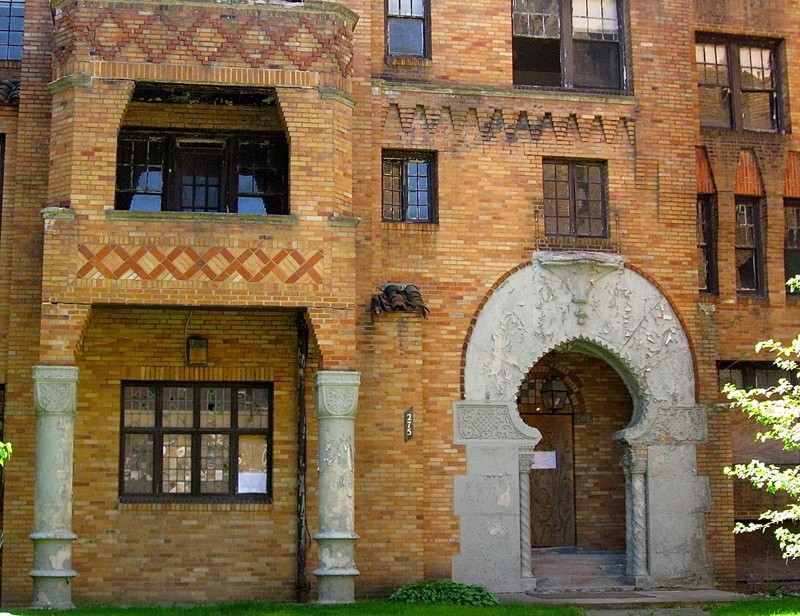 Other beautiful old apartments featuring decorative, inviting entryways can be found along East Jefferson on both East and West Grand Boulevard, and along many of the main roads and neighborhood streets of Detroit. Reminder – Click on any photo to view them larger.